Leopold's Ice Cream / Scrapbook / From our team / 7th Annual I Pledge Kicks off at Leopold’s Ice Cream! 7th Annual I Pledge Kicks off at Leopold’s Ice Cream! 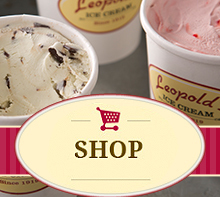 After the kick-off, Leopold’s Ice Cream will hold additional I Pledge for Ice Cream events each Monday in July from 4-7pm. The dates are as follows: July 1, 3, 10, 17, 24 & 31. That’s six, I Pledge event this year! « Leopold’s 98th Annual Birthday Block Party! Saturday, August 19th!